Yesterday afternoon we went back to Sutton Ecology Centre for a wander around while it was a little quieter. We had such a lovely time on Saturday at the BioBlitz event that the kids were keen to go again and knew just where they wanted to look and what they wanted to find. 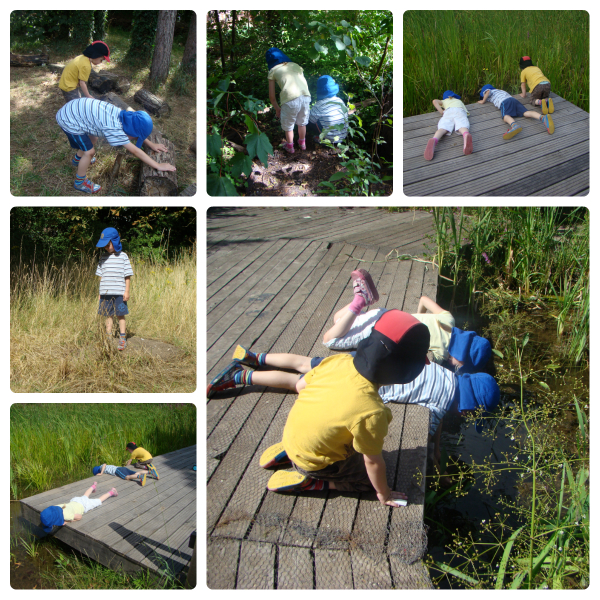 When we arrived they spent a bit of time playing in the teepee frame and jumping from log to log before we walked towards the meadow, stopping at the log circle to hunt for toads and newts. 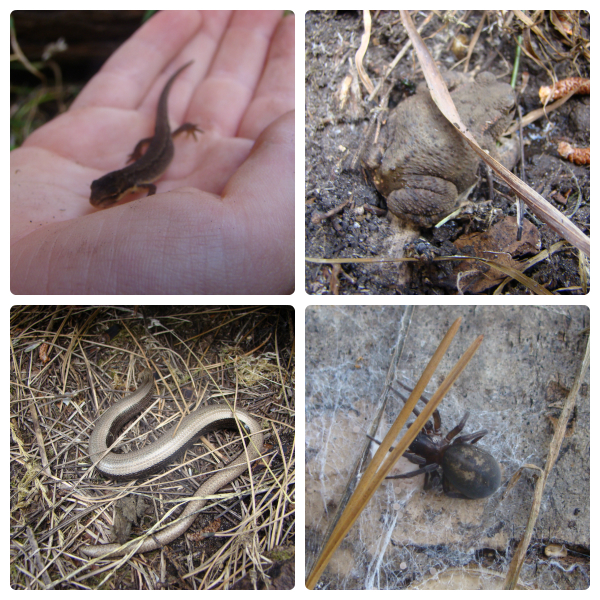 We found lots of toads, both small and large but only one small newt. Thomas looked under one of the carpet tiles and found a rather large slow worm, which we were all pleased with as we didn’t see any the day before. 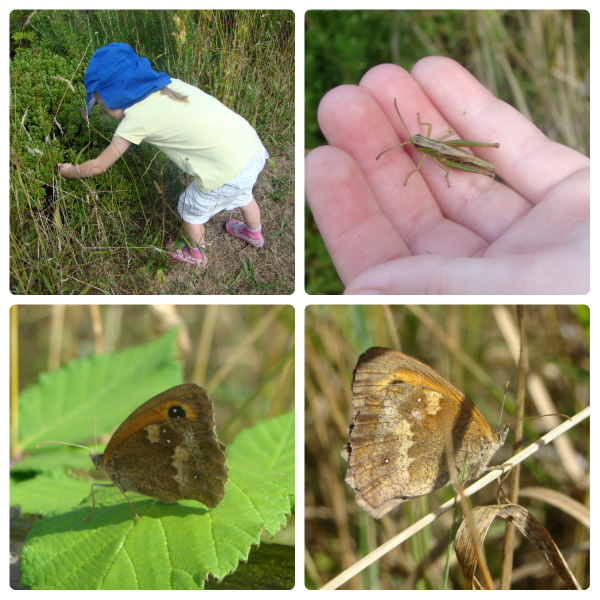 We walked through the meadow and saw lots of butterflies, did some minibeast hunting in the woodland, and then walked over to the pond and the kids enjoyed peering in and trying to catch things with their hands! Jasmine wanted to find more grasshoppers – her latest favourite animal! – so she went off to the long grass and the boys enjoyed a run around the gardens. While the kids were occupying themselves I managed to get a couple of nice photos of a Gatekeeper butterfly. As we were getting ready to leave, our friends from Caterpillar Tales arrived! They had brought nets with them so the kids enjoyed a bit of pond dipping before it was time for us to walk home. I say walk, but Thomas and Jasmine somehow managed to run almost all the way home with me struggling to keep up with them! (I had taken a buggy for Ben, knowing he wouldn’t manage the walk there and back.) I don’t know where they get their energy from, but sometimes I wish they could pass some over to me!